Ah summer. 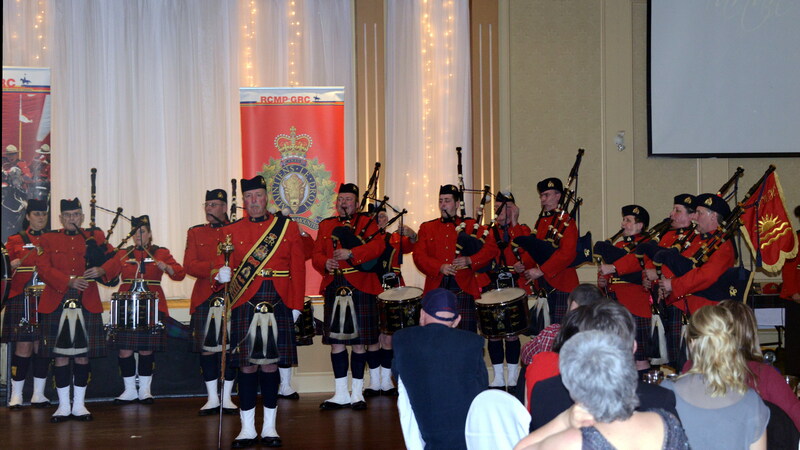 Officially it starts June 21, but with the pleasant spring weather recently, the RCMP pipe band has been able to get out into the great outdoors where the soft summer breezes mingle with the pleasant sounds of a great pipe band running through their musical repertoire. This is also the competition season for many other BC pipe bands, and they too are playing outside in various locations, preparing for the next big event, the Coquitlam BC Highland Games June 22. 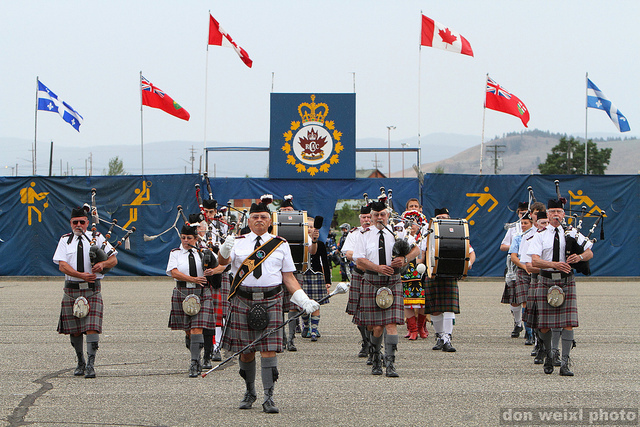 Categories: Performances Tags: bagpipes, competition, Coquitlam highland games, pipe band, Quebec City International Festival of Military Bands. back in school, swimming lessons, music lessons, the list goes on. What really is there to look forward to in January? More cold weather and clouds. Well, if you’re Scottish or someone who appreciates a great night out, there is one bright spot on the January calendar, and we can thank a well known Scottish chap for that. January 25 is the birthday of the bard of Scotland, Robert Burns. And what a great time to have a birthday. It’s a month since Christmas and a long way to anything else of note in the new year. 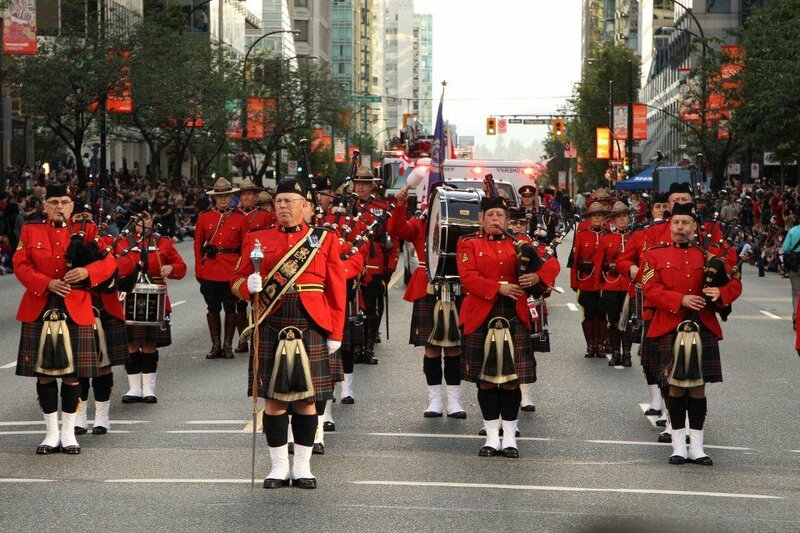 Pipe bands around the Lower Mainland are preparing for the celebration, with music, dancing, speeches and of course haggis. 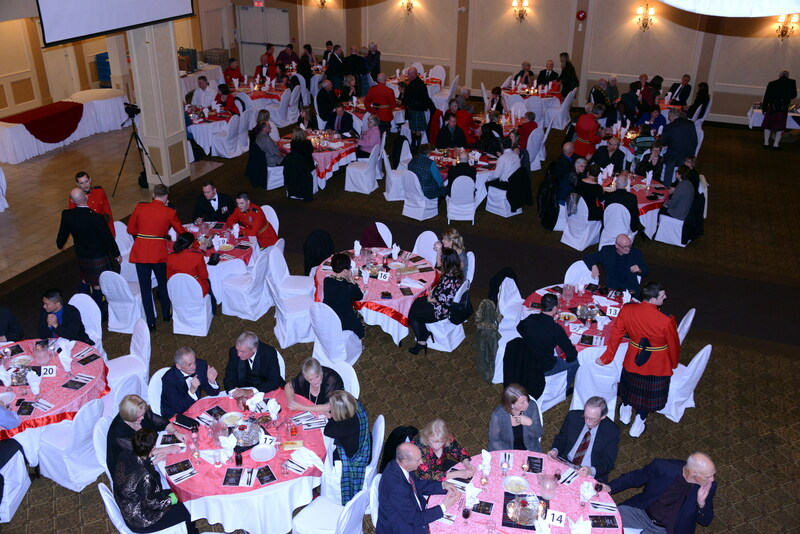 The Delta Police Pipe Band, the Simon Fraser University Pipe Band and the Dowco Triumph Street Pipe Bands are just three of the bands hosting Robert Burns suppers. 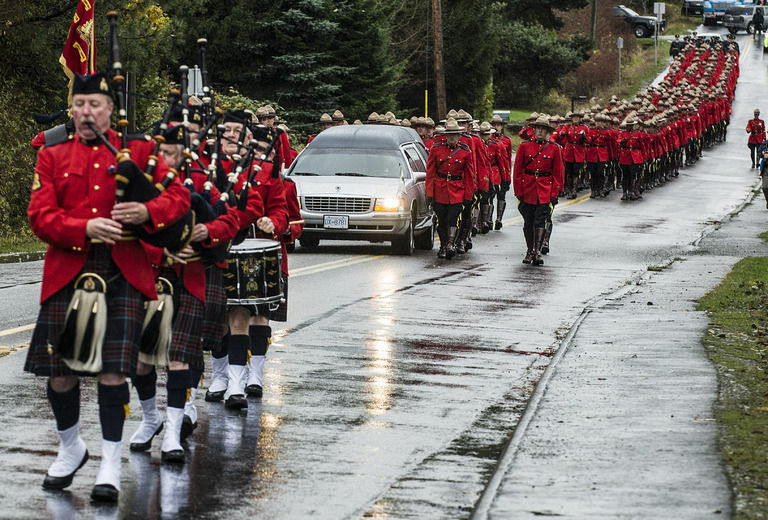 Langley, BC – Thousands of RCMP officers from around Canada, along with colleagues from police, fire and sheriff departments throughout BC, Washington and Australia paid their last respects to a fallen comrade at an RCMP regimental funeral in Langley on Tuesday, November 20. Cst. Adrian Oliver was killed in a vehicle accident while on-duty in Surrey, November 12. 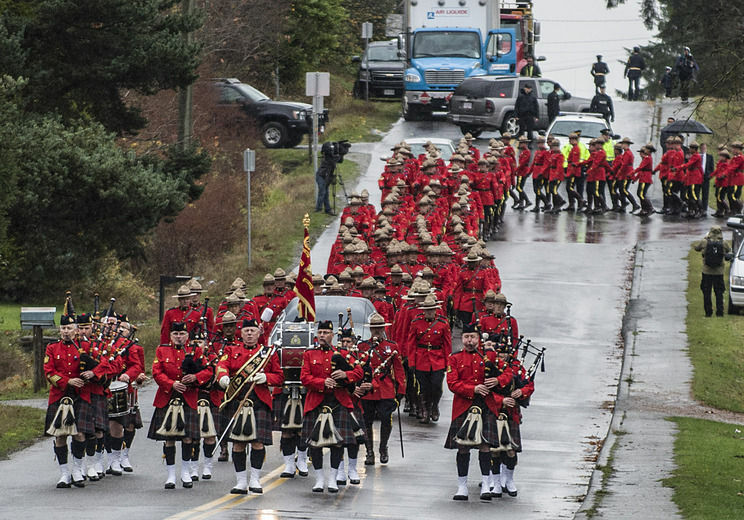 The RCMP E. Division Pipe Band, under Pipe Major Hugh Peden and and Drum Major Rob Smith led the procession into the Langley Events Centre. 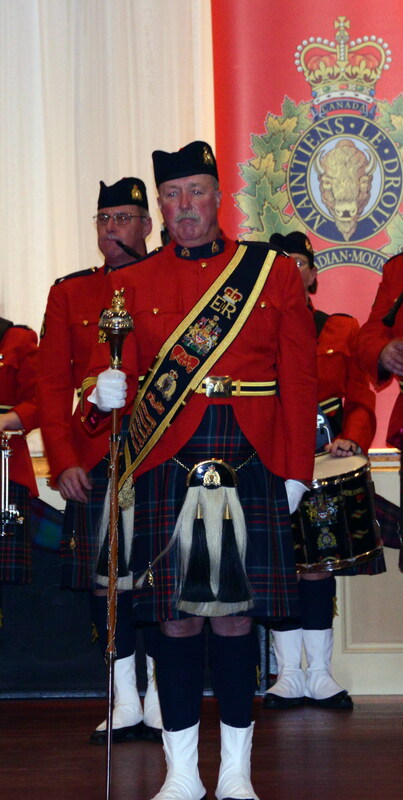 Both Pipe Major Peden and bandsman and active RCMP officer Frank Townsley provided pipe solos during the ceremony. 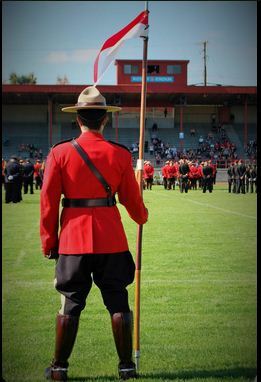 The Vancouver Police Pipe Band, Delta Police Pipe Band and the Seattle Police Pipe Band also participated in the ceremony honouring Cst. Oliver’s life. 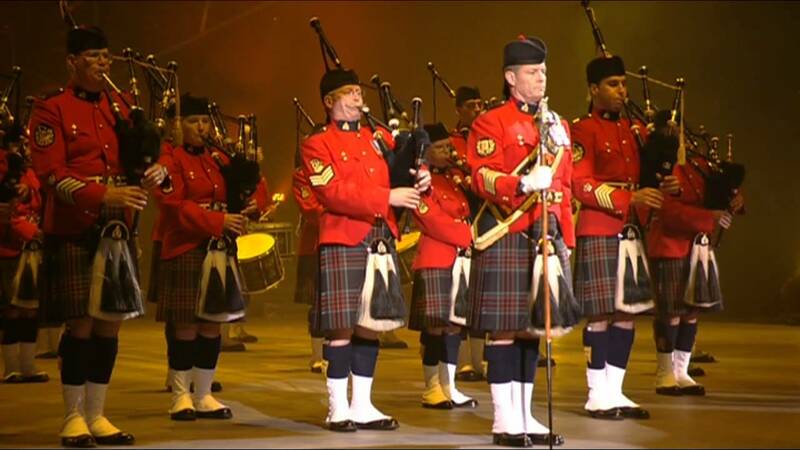 We were honoured to play a part in this solemn occasion and felt immense pride to be the pipe band representing the national police force of Canada.